The man suffered from mental illness, according to his family. camera (West Milwaukee Police Department) Police officers used a Taser on Adam Trammell at least 15 times before he died in an apartment in West Milwaukee, Wisconsin, in May 2017. The Milwaukee County District Attorney's Office said it will not press charges against two police officers who used their stun guns as many as 18 times in the death of a naked man in the shower last May. District Attorney John Chisholm made the announcement on Friday, saying there was "no basis to conclusively link Mr. [Adam] Trammell's death to actions taken by police officers." The 22-year-old Trammell, from West Milwaukee, Wisconsin, died in police custody after authorities were called to report a "suspicious male" in an apartment complex at 5 a.m., according to Milwaukee ABC affiliate WISN. The report by Chisholm notes the caller believed the man, later identified as Trammell, was having a "psychotic break." Trammell, who was naked at the time, was allegedly speaking incoherently and flooding an apartment with a shower when police arrived, WISN reported. West Milwaukee and West Allis police said in a press release last year that a stun gun was used on the suspect because he "was uncooperative and combative with officers." The Milwaukee County medical examiner ruled Trammell's cause of death as excited delirium and the manner "undetermined." West Milwaukee Police Chief Dennis Nasci told WISN the two officers involved were placed on administrative duty for two months before returning to active duty. 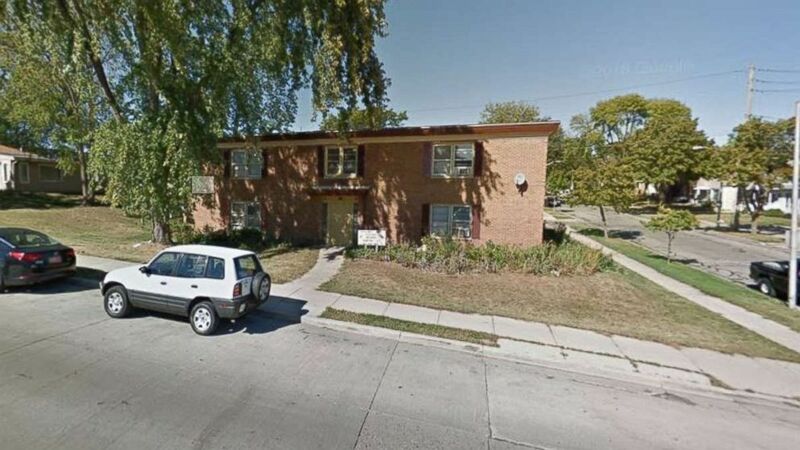 (Google Maps) Police were called to this West Milwaukee, Wisconsin, apartment building before Adam Trammell, 22, was killed in a shower. Graphic bodycam footage of the officers using a stun gun on Trammell multiple times was released and reviewed by the district attorney. The bodycam footage shows a calm and confused Trammell confronted by police officers while he is in the shower. An officer twice says, "Brandon, I'm going to need you to come on out," referring to Trammell by the incorrect name, before saying, "You're going to get tased." Trammell doesn't respond before being shocked and falling to the shower floor screaming. The district attorney's report states the officers repeatedly used their stun guns on Trammell as he struggled to prevent removal from the shower. The report indicates the officers used a Taser 15 times. Trammell's family claims he suffered from schizophrenia and bipolar disorder. "The family first saw the video at the DA's office. So yes they've seen the video and they weep every time they see it," the Trammell family's attorney Mark Thomsen told WISN. "We had a young man in a bath tub naked, OK? Why they engaged in tasing for 15 to 18 times is beyond my imagination. "For no good reason -- and essentially tortured to death," Thomsen added. "That should not happen to the mentally ill in our community."